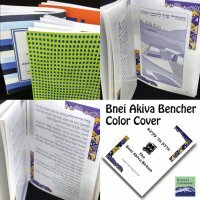 A unique touch for your Purim seudah or mishloach manot. 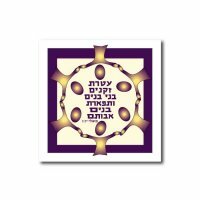 Printable 8 x 10 sheet of Esther, Mordechai, Haman and Achashverosh cakepop toppers. 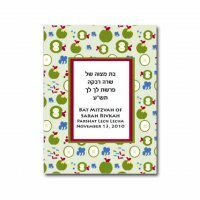 Twelve on one page plus bonus "Purim Sameach" toppers in Hebrew. 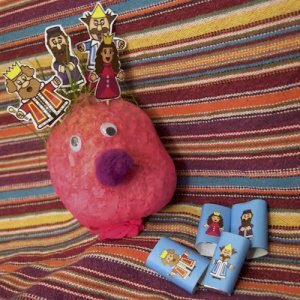 One page of Chocolate wrappers with the same Purim characters. Print on cardstock or photo paper. Set printing to the highest / best quality. Make sure scaling is deselected or the images will be made to shrink or enlarge. Set printer to Borderless printing. NOTE: Colors vary monitor to monitor, as well as printer to printer. Colors printed may not exactly match what you see on your computer screen.